Inspired by 90s Jungle and Ragga MC s, Microphones And Sofas offers up a reggae and Future Dance- hall mix which pays its dues to a deep history of Sound Clash battles and cites current political issues which are hammered home by a forward-thinking future-bass sound and quick-witted and conscious lyrics. Featuring collaborations with fellow members of the Sharp And Ready (and Unit 137) family, including RTKal, Ed West, Hylu, Ghost Writerz, Galak Spiritual and Bahia - alongside Chief Rockas and more, this album spotlights some of the most progressive and talented MCs, producers & DJs working in the current UK Dub, Reggae and Dancehall scene. 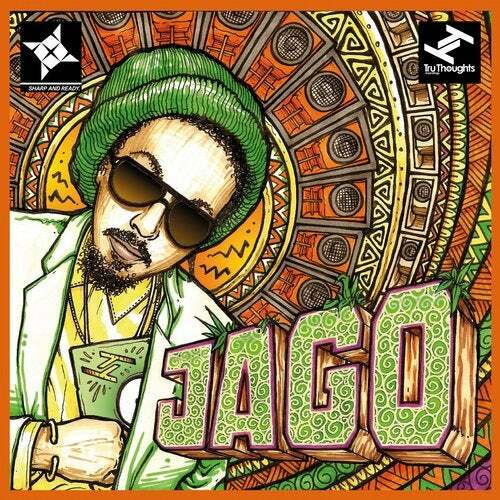 As a writer, producer and vocalist, in recent years Jago has released on labels such as Big Dada, Unit137, Irish Moss, Reggae Roast and Dub-Stuy, to add to a number of self-releases, with notable tastemaker support from the likes of David Rodigan (BBC 1Xtra), Don Letts (BBC 6Music), Huey Morgan (BBC 6Music), Crises (SUB FM) and many blogs around the world. Alongside his solo work, Jago is widely recognised as one of the frontmen for renowned reggae nine-piece onlyjoe.